“I feel so fortunate to be the person here in this window. It feels like the best time to make this movie. So I’m psyched.” Jenkins siud about the responsibility of taking on the introduction of such an iconic character to the mainstream. 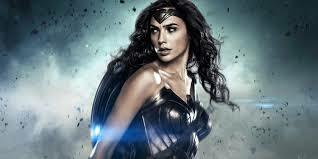 Gal Gadot plays the titular character of Wonder Woman aka Diane Prince. She siad “It’s an honor and a privilege to be given the opportunity to play this character. Knowing how many people care for this character, I do feel that responsibility. … to portray this character in a way that everyone can relate to.” The Wonder Woman will hit the theaters on June 2nd 2017.